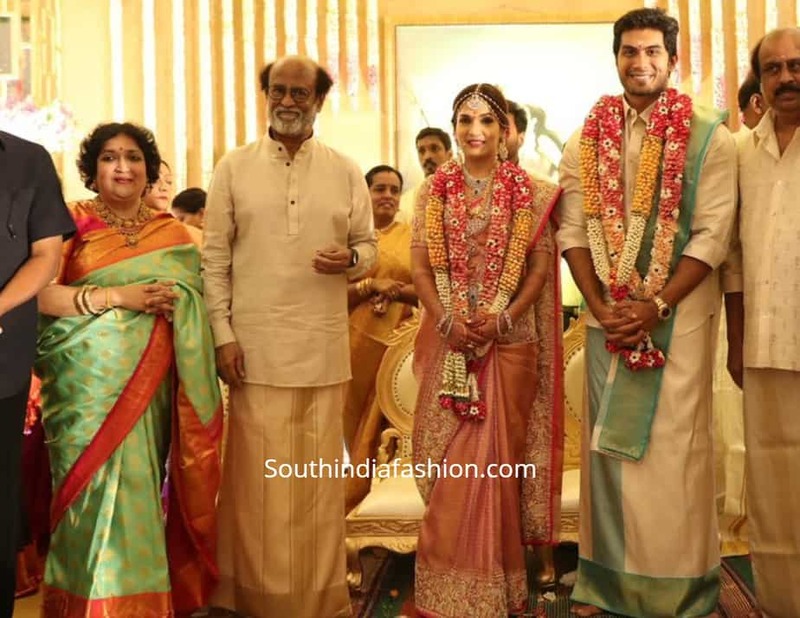 Soundarya Rajinikanth and Vishagan Vanangamudi's Wedding! 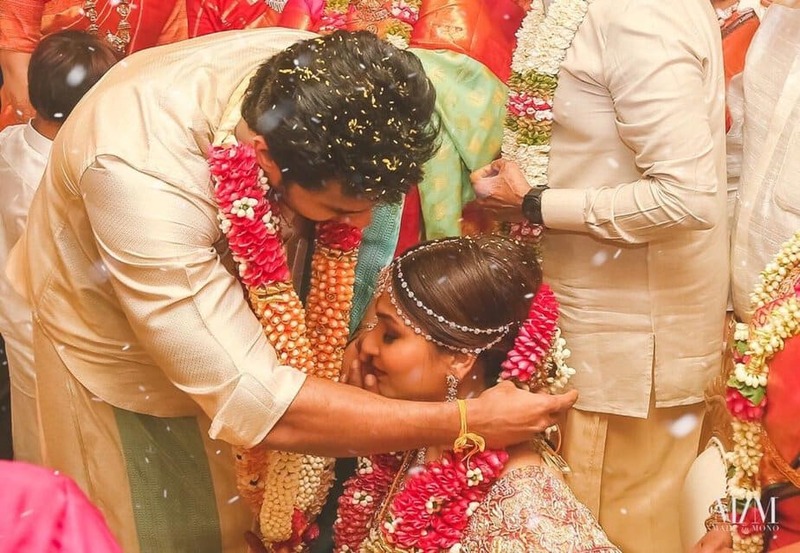 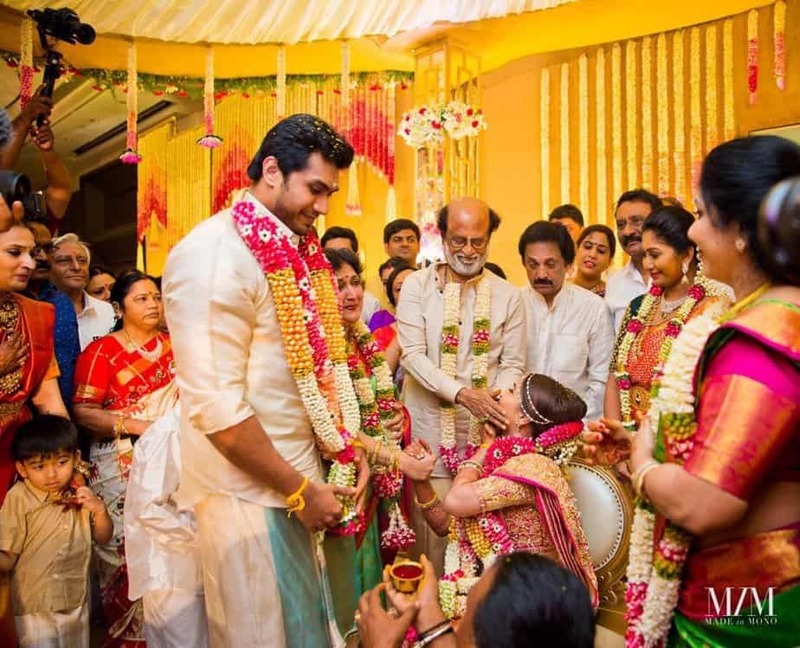 Real Brides Soundarya Rajinikanth and Vishagan Vanangamudi’s Wedding! 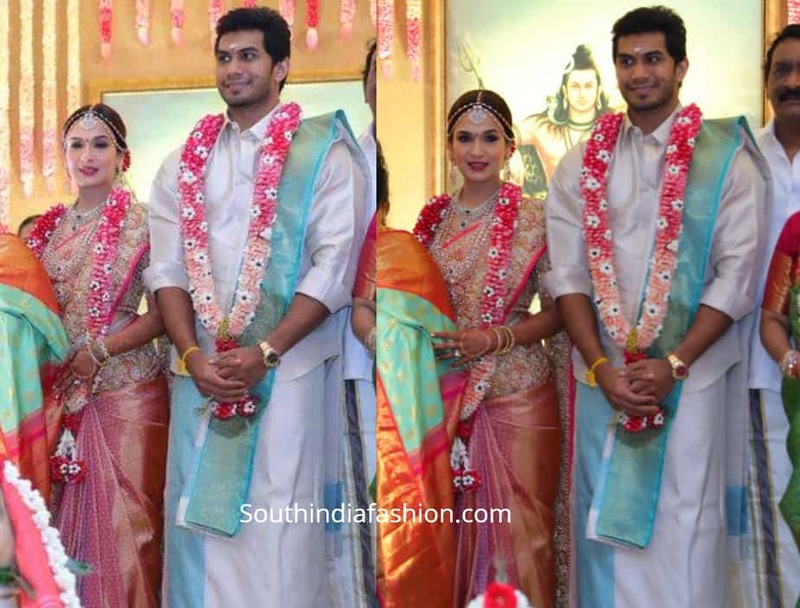 Soundarya Rajinikanth And Vishagan Vanangamudi tied the knot today at the Leela Palace Hotel in Chennai. 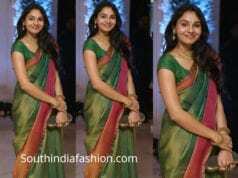 Soundarya looked beautiful in a light pink embroidered Kanjeevaram saree paired with matching intricate elbow length sleeves blouse. 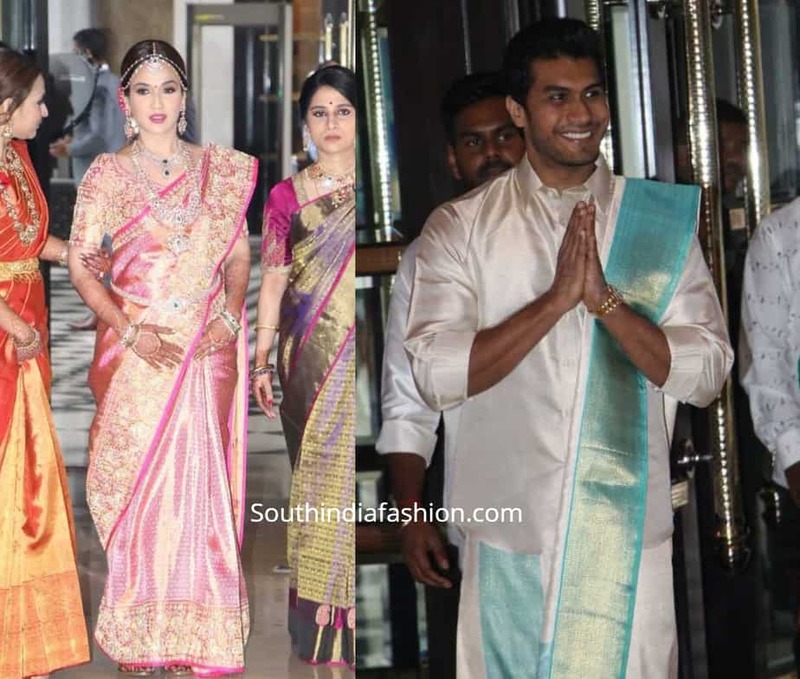 The saree was custom made Tulsi Silks and the embroidery was done by Abu Jani Sandeep Khosla. 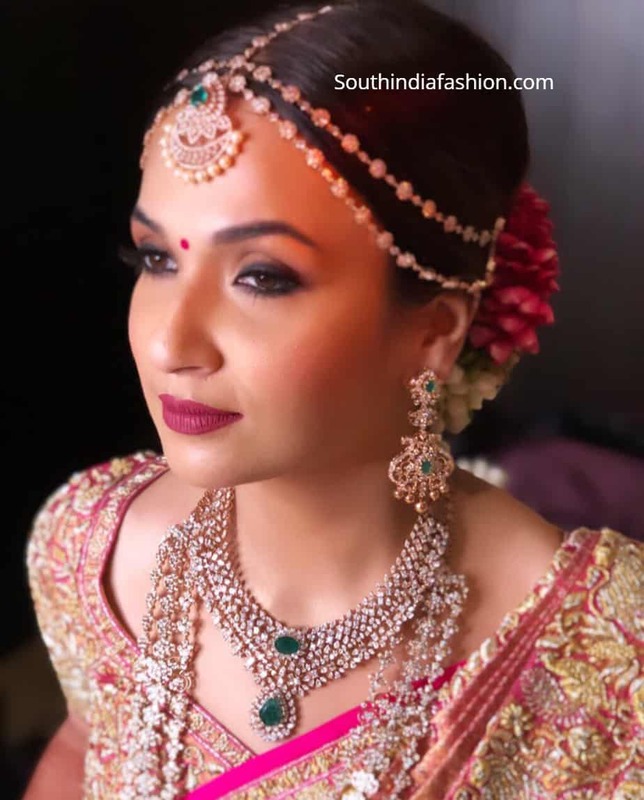 She paired her look with diamond jewellery. 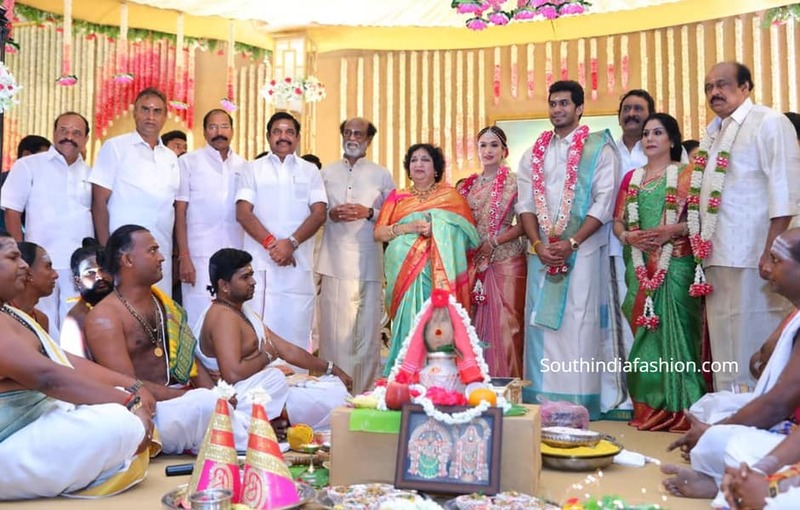 Vishagan was seen in a white shirt paired with traditional veshti. 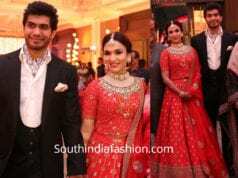 The couple looked nice!